To earn some extra cash during the summers of my college days, I started a house and pet sitting service. I remember one chocolate lab in particular I house-sat for, named Lucy. After the first night I spent with her I was promptly woken at 6:30AM to Lucy repetitively brushing her body against the side of the bed, staring up at me and thrashing her tail excitedly – her way of communicating, “Come on I’m awake! Are you awake yet? Let’s do something, I’m hungry, I have to pee. Are you awake yet? !” Despite knowing that this was most likely Lucy’s learned behavior to manipulate her parents out of bed, I begrudgingly got up and let her out into the back yard to do her business and get ready to go for a morning walk (stupid human). The next morning Lucy was back doing her 6:30AM alarm clock routine, but this time I decided I wasn’t going to give in to her demand, hoping she would settle back down and give me a little more sleep. After a minute of bed brushing and tail thwapping while I pretended to still be asleep, I watched Lucy back up ten feet and, to my surprise and amusement, she raced forward and full on body slammed into the bed. She then looked at me for any response, only to see somehow I had not noticed the 7.8-magnitude earthquake she had created. Lucy then circled around a bit, walked back over to her bed, and laid down with the loudest doggie groan of defeat I have ever heard. Sometimes teaching our dogs tricks can backfire. Teaching and rewarding a dog to “shake” often will result in that dog (cleverly) trying out that awesome new behavior in other contexts. She may, for example, come over while you are reading, place her paw up on your hand, and before you realize what you are doing, you are looking at her, smiling, thinking how adorable she is as you had just practiced shake that morning, and then you engage in petting or play. Guess what? Your dog now knows the thing that can magically transform you from a boring book reader to an engaging play partner! “Man, humans are so easy!” she’ll think to herself. Another common mistake people make is reprimanding an attention-seeking/demanding dog, either by verbal instruction or physical force (ie. yelling, “Quiet!” at a barking dog, pushing a jumping dog off your legs, etc.). For most dogs, giving any kind of attention, even if it is negative, can be enough to reinforce the attention-seeking behavior. It's best to just ignore the demanding behavior. 1. What does my dog want? 2. Am I doing something that reinforces her behavior? 3. Can I control or withhold giving her what she wants? 4. Is there a better behavior I would like her to do when she wants this thing? Let’s consider the ball-crazed barking dog. If you are holding a ball in your hand and your dog is barking at you, it is pretty darn apparent what she wants (spoiler: she wants you to throw the ball). With that ball in your hand, however, you control everything. Realize that the moment you throw the ball, you are reinforcing the current behavior your dog is in. So, while your dog is barking, do the thing she does not anticipate: wait. Eventually, your dog will begin to figure out that barking no longer makes you throw the ball. Before this happens, however, most dogs will actually increase the level of their demand. Remember Lucy’s 7.8-magnitude body slam from earlier? A demand-barking dog will think, “Strange, my normal barking that usually works is no longer working. Perhaps if I bark louder it will work again.” Don’t give in, my friends! If you cave during this escalation process, your dog will have a new baseline to begin her demand for next time. If you can patiently wait long enough, she will stop barking. As soon as she stops barking, you give her what she’s been wanting the entire time (hint: throw the ball now!). Congratulations, you have just reinforced silence! Take this another step and patiently wait until your dog sits (without barking) before you throw the ball. So long as you are not instructing her to sit, she will consider sitting as the new way to demand that you throw the ball. A polite, demanding dog, who knew? With enough practice, your dog will automatically begin to practice politely demanding things from you. Keep your trainer hat on whenever you are around your dog, and always be considering the relationship between the things you do and how your dog is learning to react around them. As you do, she will begin to generalize patience, politeness, and impulse control in every aspect of her life. Training Protip: you can turn some behaviors your dog does normally into routine methods of communication. Ex. You know it’s around the time your dog typically needs to the bathroom, and she happens to walk towards the back door, respond by saying, “Good girl! Let’s go out!” and lead her to the potty area. Over time (re: repetition), she will learn that walking towards the back door will cause the human to open the door to the potty area. Additional Note: If you have a dog who is shy or fearful of people, do not discourage attention-seeking behaviors! Your goal in helping your pup overcome her fears is to make every human interaction a positive one. Imagine a shy dog learning she can paw someone for petting. Not only does this build confidence in her actions, but allows the attention to be on her terms! Prevention speaks volumes, especially when it involves caring for animals. To improve their health, it is necessary to use the right supplies and foods to keep them buoyant. AND the number of guided off lead dog walks, with other social dogs present, per week is directly proportional to how social they will become. Dogs barking are a part of our daily lives when housing a pet. It can, however, be too much at times. 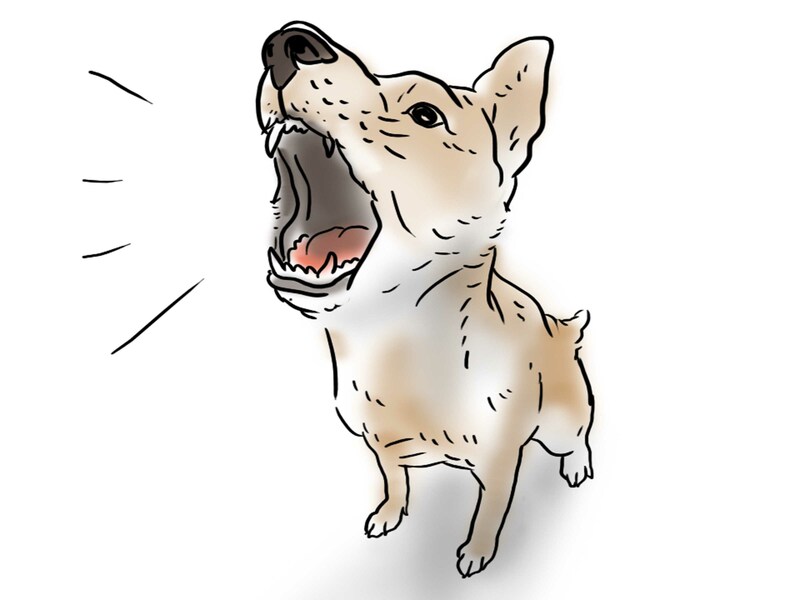 As pet owners, we need to understand why our dogs are barking in the first place. Since we cannot communicate with them directly, we need to know the difference between certain reasons why dogs bark. It could be because they are hungry or need to go outside to do their business. We should always monitor our dogs and look out for cues to help lessen the need for them to bark often.